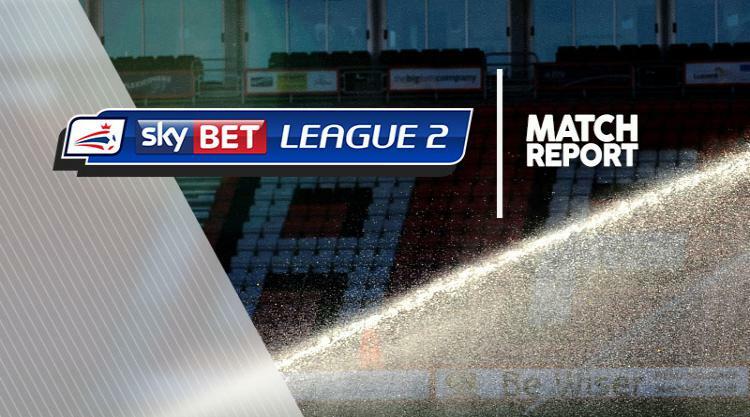 Exeter had to come back from a goal behind to maintain their unbeaten start to the Sky Bet League Two campaign. The Bees took the lead in the 48th minute when Shaquile Coulthirst was on the end of Jamal Campbell-Ryce's low cross to score from close range. The Grecians equalised in the 78th minute through Reuben Reid, who tapped in a rebound after Craig Ross tipped Jake Taylor's shot onto the post. The away side pressed for a late winner and it came through Jayden Stockley, who scrambled in a free-kick with virtually the last kick of the game. The hosts were denied an early lead in the first half by Christy Pym's brilliant double save as the goalkeeper kept out Michael Nelson's header and the follow-up from Charlie Clough. Pym was called into action again a few minutes later as he tipped Jack Taylor's shot over his crossbar. At the other end, Reid was played through on goal by Liam McAlinden's incisive pass but the striker's heavy touch allowed Ross to collect the ball. Rossi Eames' side had the ball in the back of the net again in the 55th minute but it was not allowed as the referee had already blown his whistle for a Barnet free-kick.